Lean Cuisine boasts a huge selection of meals and reasonable prices. But which Lean Cuisine meals will most likely please your taste buds? We’ve scoured online ratings, blogs, video reviews, and comments to compile a list of the top 10 best tasting Lean Cuisines for your microwaving pleasure. Our blue ribbon winner is none other than this crispy, crunchy lunchtime favorite. Fans of this panini claim the flavor combination is just perfect and makes for a very satisfying meal. Others admit to making their coworkers jealous with the way it smells while it cooks in the microwave! • "Sure did impress me- I know a microwave panini sounds pretty bland- but this one was great! I will 100 percent buy it again." • "I really enjoy this sandwich on days when I need a quick bite when I'm at work. The flavor is perfectly savory and the bread toasted perfectly!" • "The Spinach Artichoke chicken Panini is my favorite. I love how crispy it Can get. Sometimes I'll even eat it for breakfast So delicious!" Now here's an easy way to enjoy some Tex Mex without all the extra calories. Reviewers loved how the red chile sauce complimented the beef and the sweet potatoes created a nice balance. It's also gluten-free! • "This is easily one of my favorite meals. The spice level is great, the portion is fantastic and the sweet potatoes are the perfect compliment." • "This is by far my favorite meal of the LC line, and to be honest I am trying to find someone who can help me recreate this so I can make it for my family...it is so good!" • "This is the perfect lunch for the on the go working woman. Plus unlike other gluten free dishes, this one taste amazing! Microwaved fish? We know how it sounds, but give it a try. Many reviewers were surprised to find how delicious the fish came out and how filling it was with the side of rice. • "Getting properly crisped fish in the microwave has traditionally been a risky business. Not anymore! If you follow the cooking instructions on (the) box, you get a wonderfully satisfying serving of fish -- crispy outside, tender and moist inside." • "This is my favorite! Good job Lean Cuisine! 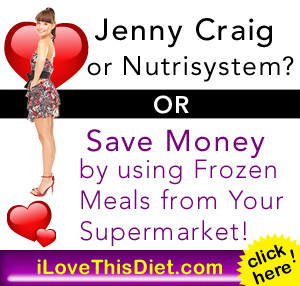 Best tasting frozen diet dish I have ever had!" • "This is always one I pick up when stocking for the week or two of meals. Not only is the fish good, but the rice side with vegetables has a flavor hard to beat!" It was hard to find a negative review about this meal. With tender ravioli filled with creamy butternut squash and cheese, it had most reviewers clamoring for more. In fact, most are so loyal to this meal, they'll buy it in bulk! • "All of the veggies were tender and perfectly covered in a wonderful tasty sauce. The filling in the ravioli was amazing. It had just a slight hint of sweetness. So good!" • "Had this last night and was shocked by the quality good enough to be in a restaurant." • "This is my favorite Lean Cuisine Meal. There is always one in my freezer. If I go to a new grocery store and they don't carry it, I won't shop there ever again. Who doesn't go ga-ga over mac and cheese? Well Lean Cuisine hit it out of the park with this white cheddar version. Reviewers admit to being a wee bit obsessed. We don't blame them! • "Mouth watering good, tastes like mac n cheese served at an expensive restaurant for half the calories and price!" • "This lunch is like a gift from God. When I know I brought it, i look forward to lunch all day! The sauce is creamy and tangy to just the perfect extent and the pasta is perfectly cooked. • "It is curly pasta, not too soft, and the sauce of white cheddar has flavor that is perfection. I eat this at least once a week. It is my go to comfort food." These hand-held rolls are microwave magic. They taste great, cook well, and are the perfect paring to a lunch salad. Beware, you may want to eat the whole box, which is actually two servings! • "I have been eating these crunchy little rolls of chicken and beans often, for years! They are low fat and high protein and taste really great." • "This product by far is my favorite Lean Cuisine out of them all! The flavor is awesome, the taste is delicious! • "I love these so much! I have been buying them for years, and I always make sure that I have at least one box in my freezer!" This lunch-sized meal may not look like much, but once you've taken a bite, you'll know why so many reviewers keep coming back for more. • "...it has a delicious sour cream flavor plus gooey cheese, and a nice amount of vegetables and bacon bits along with the chicken." • "Though not always easy to find, when I find it I stock up! Feels like I am cheating on my diet when I have one!" • "I'm surprised by this one. It actually is filling and the flavor is good." If you love Thai food but hate the calories, try this dish. Reviewers went crazy for the peanut sauce and often kept their freezers stocked with extras. • "This is without a doubt the best of the Lean Cuisine line and one of the best frozen "diet" meals out there." • "I love everything about it: the calories, protein, the satisfying crunch in the vegetables, and the savory creamy peanut oil was well combined. I will be stopping on my way (from) work to buy more. • "Being a fan of peanut sauce, I tried this the first time I saw it and I am so glad! It has incredible flavor and lots of it, ingredients that taste fresh, and it's so different than the run-of-the-mill frozen entrees with cream sauce and token veggies. Oh ravioli, how we love thee. Let us count the ways: one, two, three different cheeses! With romano, ricotta, and parmesan comingling with the ravioli, reviewers fell head over heels for this simple but yummy dish. • "The right amount of sauce with was delightfully creamy & seasoned to perfection, plenty of spinach and a nice about of peppers! Best pasta dish I've had from Lean Cuisine, thus far!" • "I eat many Lean Cuisines; some are okay and fill me up; others are really delicious. This one is delicious. I love the smoky mushroom taste. It is really amazing and I've bought it many times over." • "This has great flavor, the safe is great and the mushroom filling is semi chunky which I liked you could actually see some bits of mushroom." Here's an original recipe that you may not see replicated in other frozen meal brands. Reviewers were stunned at how flavorful this meal was. Imagine it's autumn and you have chicken simmering in a maple-bourbon sauce. Hungry yet? • "This was my first time buying a Lean Cuisine product...EVER. I must say, I was pleasantly surprised by the quality of the product. The chicken was tender, the rice was great, and the sauce and cranberries added nice flavor." • "I bought this and fell in love! The taste is good not too spicy or sweet like most low fat entrees typically have." • "My daughters and I are obsessed with this flavor! It is delicious, every flavor- the chicken, cranberries, sweet potatoes, and pecans come together perfectly!"